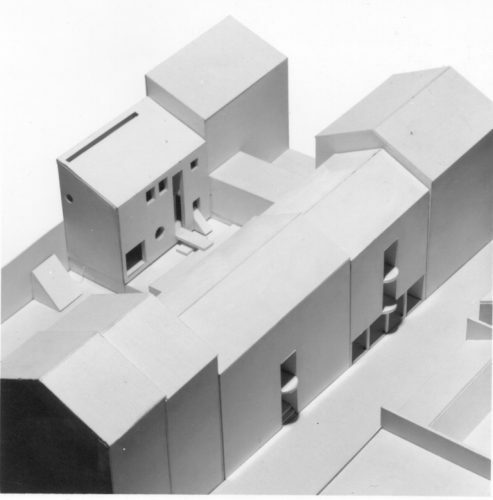 The project proposed to the Town Hall for replacement of an ancient building is conceived following two principles. 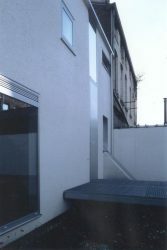 The plot is situated on the inside of a blok. 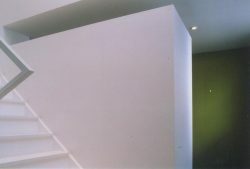 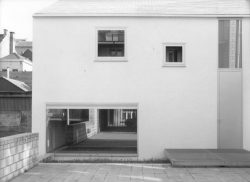 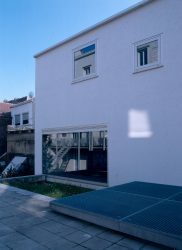 The house, presenting 3 blind semi-detached facades ans a North front, led us to consider the roof as a complementary facade and to detach the back wall of the first level, so as to introduce natural light inside the house.The only opened facade, perceived from a street through a building’s structure, is presented sa a plane sequence generating an entirely white volume, crossed by abstract openings.